Earn as many points as possible with a limited number of balls in this cool 3D basketball game! Aim carefully and shoot the ball through the hoop to score. Don't touch the rim to get bonus points and unlock the fire ball by making goals in a row. Can you reach a new high score? 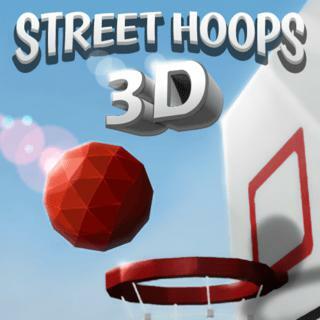 Street Hoops 3D - Find Street Hoops 3D in our vast HTML5 games catalogue. Only the best and newest HTML5 games for all audiences. Guaranteed success with Famobi.